We're back from a summer of travel and fun! Today, starting at 4 p.m., Pacific, new music, artists and the finest collection of San Diego County songs found by my four paw pooch, Jack! 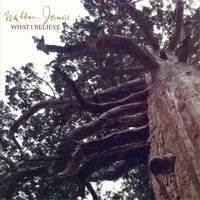 North County Resident, Nathan James hits the airwaves with selections from "What I Believe". See the video here! The video was shot and produced by Kevin Spencer. Plus the world-radio premiere of Vee's single of "Crash". Please tune in at 4 p.m., Pacific, to Rez Radio 91.3 in North County or on the web via iHeart, Tune-in or other streaming services.